Lleida is a city in central Catalonia, Spain, and has about 138,000 inhabitants. 3. Zaragoza Airport (ZAZ) is a medium sized airport outside of the city. It is also a Spanish Airforce Base and an emergency landing strip for the NASA Space Shuttle. There is a bus service that connects the airport to the city every half hour.Currently, Air Europa flies to Lanzarote, Palma de Mallorca and Tenerife-South, Air Nostrum to A Coruña, Frankfurt, Madrid and Paris-Orly, and Ryanair to Alicante, Brussels-South Charleroi, London-Stansted, Milan-Orio al Serio and Rome-Ciampino. 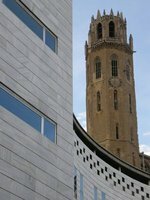 We have a comprehensive list of accommodation in Lleida searchable right here on Travellerspoint. You can use our map to quickly compare budget, mid-range or top of the range accommodation in Lleida and areas nearby. This is version 9. Last edited at 3:45 on Aug 2, 17 by sleepBot. 2 articles link to this page.